Far too often, testing software for security flaws falls into the “nice-to-have” category, taking a backseat to the demands of the marketplace and inflexible feature release schedules. In addition to the expense of hiring an outside security testing team, testing for and fixing obscure security bugs is a brake on an engineer’s ability to put new code in the hands of their customers. Fortunately, there is a workaround to this dilemma that will allow you to promote application security awareness while helping to reduce security bugs in your applications. 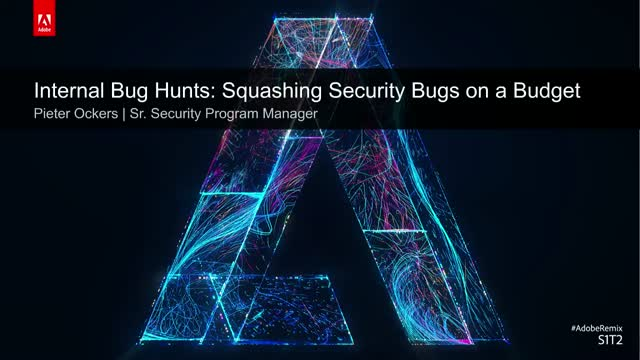 An internal bug hunt contest - in which your employees compete for prizes by finding and reporting security bugs - enables you to harness the creativity and problem-solving skills of your workforce while reducing security bugs in your applications. It can also help promote a culture of security awareness - without a large security testing budget. In this webcast, you will learn how an internal bug bounty program can help you find security flaws in your applications before criminals or spies, while improving the security culture at your company.